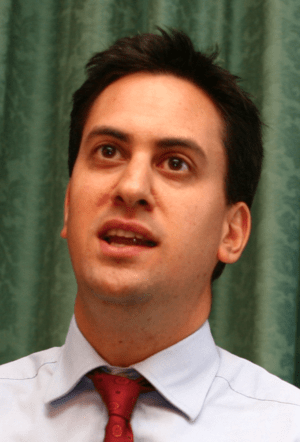 Milliband sadly, is an apologist for free-market capitalism. Wonka-conomy is almost right! – you just spelled Wonka slightly wrong. Actually this is not an either or situation – there is such a thing as a ‘mixed economy’ where the state runs things that are vital to human existence like, water, gas, electricity, health, education and transport – and private enterprise can run their own businesses if they wish – I don’t care what Apple charge for an iPad – if it’s too much I just wont buy one – but I do care what Thames Water charge or NPower et al – I wont die without an iPad! No subsidies, no tax breaks, kick them out (after locking them up) if they don’t pay their taxes. Limit executive salaries to maximum of 25 times their poorest paid employee and no Public Sector contracts for anyone who pays less than a living wage (not minimum wage) – if you want to reduce the Welfare Bill dramatically stop using it as a subsidy to make up starvation wages for global business – if they can’t pay a living wage – then their business model is wrong. ANYTHING that is sold to a UK resident is a UK sale and be subject to tax regardless of where they do their accounting. In my view any working person who is also entitled to additional welfare payments to top up their salary to a living wage shoud be reclassified as unemployed – see what the figures look like then Mr Osborne!